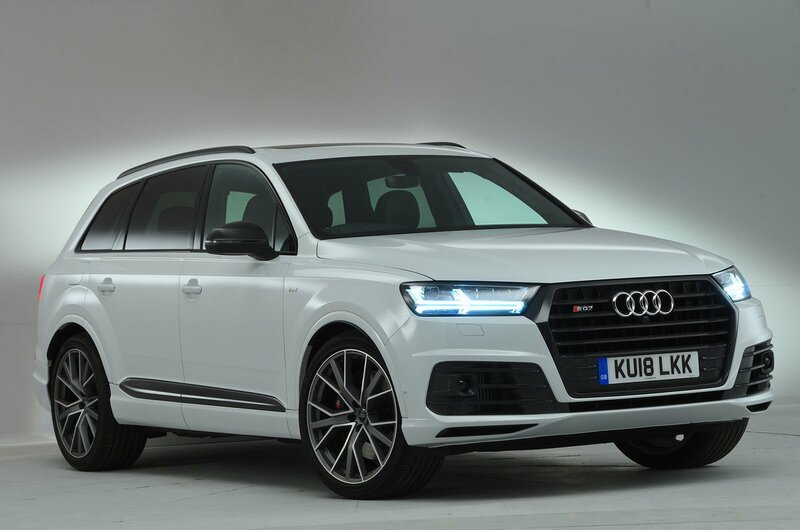 Audi SQ7 Boot Space, Size, Seats | What Car? Along with power, the other thing the SQ7 isn’t short of is space. Up front, there are acres of head and leg room, and the interior is wide enough to provide plenty of elbow room, too. The SQ7 has lots of oddment space in the front, with large door bins and other trays and cubbies dotted around. 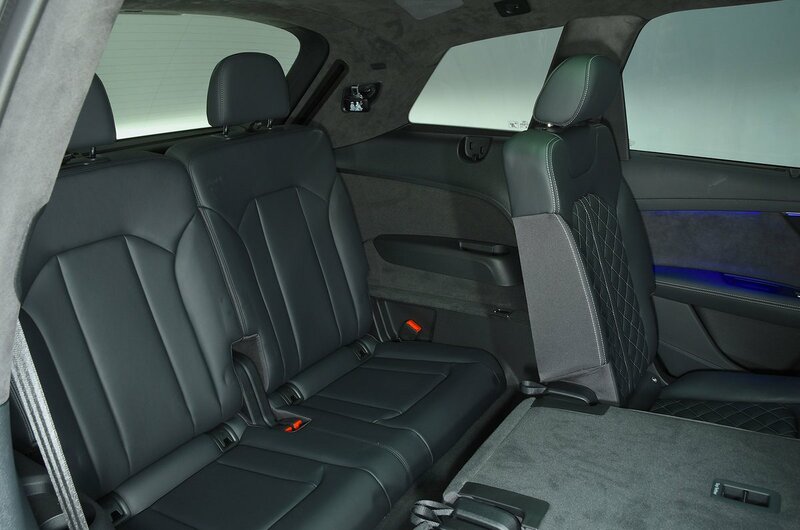 Getting into and out of the middle-row seats is easy, thanks to the big, wide-opening rear doors, and once inside you'll find a few centimetres more leg room than in a BMW X5 and more shoulder room than in a Porsche Cayenne. 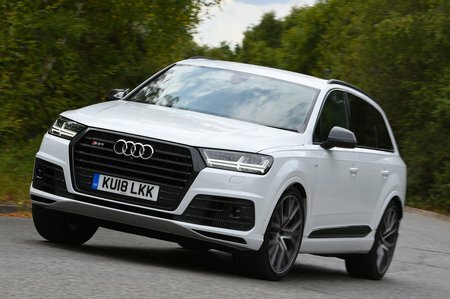 The SQ7's width means it’s one of the more comfortable cars for three large adults sitting side by side, helped by the fact that each has an individually sliding and reclining seat. The two fold-out third-row seats are fine for smaller folk, but anyone tall will voice disquiet if asked to spend too long there. The seats are easy to operate, though, with convenient switches by the tailgate that power them up or down electrically. In five-seat mode, the boot is easily big enough to take a couple of buggies or no less than 10 carry-on suitcases. Even with all seven seats in place, the boot will still swallow a few large shopping bags. There’s also a small amount of extra storage available under the floor. If you fold down all five rear seats, you’re left with a vast space and a completely flat, extended load area. This makes loading bulky items relatively straightforward, especially since there’s no lip at the boot entrance. A powered tailgate is standard, plus you can lower the air suspension at the touch of a button by the tailgate so there’s less distance heave up those heavier loads.